Going through my list of movie review drafts I came across The Polar Express. Wanted to do this one somewhere during the Christmas break, but hey, it’s never too late for a movie review! Animation with Tom Hanks’s voice, The Polar Express is about a boy welcomed by an impressive steam train that stops just outside his house on Christmas Eve. The train is called the Polar Express as it is going towards the North Pole where Santa lives. The boy gets the adventure of a lifetime. Nominated for three Academy Awards, The Polar Express clearly did not impress me likewise. I do like computer animations, trust me, but I think that the director’s vision of the North Pole and Santa is too complicated for a youngster / child to understand. Many adults will and everyone will argue that it is the most creative vision (although some think Santa’s home looks like some typical German city), but really who are we kidding here? The movie is targeted at families and that includes children. The possibilities portrayed in this movie are endlessly inventive, requiring no imagination from the audience at all because all the thinking gaps are already filled up, but it also has radically attempted to change traditional views such as Santa himself. Not necessarily bad, very original, but sometimes “unbelievably stupid” (quoting my young cousin here). The Polar Express surely is a must watch with the family. Try to enjoy the visuals and let go of the conventional Christmas movie spirits. Yes, I am a big Harry Potter fan. I love the books by J.K. Rowling but I also appreciate the movies. 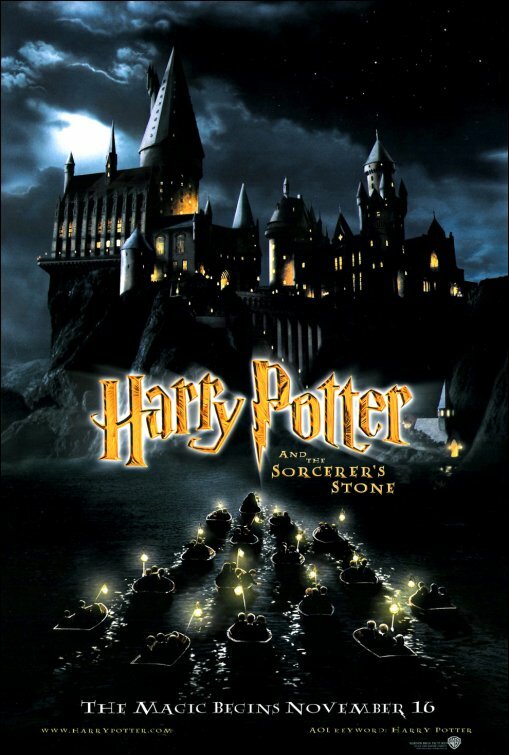 The first movie, HP and the Sorcerer’s Stone, was directed by Chris Columbus. It is definitely a children’s movie, but it has some very important life morals, a magical storyline and fabolous settings. An original experience that must be savoured. Most probably, if you like it or not, you have read the first book in the series. The story is about a young special boy Harry. He finds out that he is a wizard and so he can go to Hogwarts School for Witchcraft and Wizardry. His adventures start there with his two best friends Hermione (Emma Watson) and Ron (Rupert Grint). Harry Potter and the Sorcerer’s Stone knows like no other movie to create an entire visual world of itself. Hogwarts and its mystical creatures are breathtaking one by one. The moment Hagrid is introduced you know all the fun has started. Besides the famous trio, there are also many others. Since this is the first movie in a series long to come, there isn’t any definite storyline. Instead Columbus chose for brief, stereotypical but passionate introductions. Ron loves food, Hermione likes studying and Harry needs to figure it all out. Indeed, a very familiar tone. That means there is not much development to the story at the end. The relations between characters have been set and one can look out for more mystery to come. It is not fair to judge this movie based on our knowledge of the series nowadays. Trying to review this according to the context in that time, you can also comment on a few things. First of all I like the way Columbus has enriched the story with as many elements as possible from the original book. You may not see them the at first, but if you watch it for a second time, they are certainly present: the mysteries of Hogwarts, Harry’s connection to Voldemort and the theme of friendship. Second, themes play a major role throughout the story. Friendship, as mentioned earlier, is explained thoroughly from different perspectives. Certainly those carry fitting messages towards the audience which are children and teenagers. Moreover, Harry Potter and the Sorcerer’s Stone was one of the first movies to actually reflect modern society in a very composed manner. The (visual) distinctions it makes between the Wizarding World and the Muggle World contribute enormously to the greater purpose of the story. It provides an original, ‘alien’ vision to look at the little practical segments that serve to be helpful nowadays. Intriguing really.. Not just any movie gets to be nominated for three (!) Academy Awards! This movie is a marvelous thing to look at, only if you can let go of the modern context and realize it is from the year 2001. In addition, being highly engaging: from the bustling streets of Diagon Alley to the mysteries surrounding Hogwarts and its Forbidden Forest. Let the Magic Begin!